Welcome to day 9 of the Beach Bash! Our bash goes from June 27 to July 20 with the former contestants of One Month To Win It. Missed some of the posts?? Click here to read all the Beach Bash posts!!! Chris with Pickup Some Creativity is next! 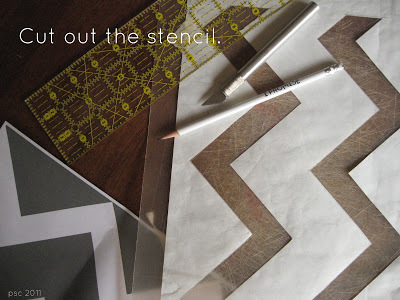 She is here with a great tutorial on painting your own chevron pattern curtains!! Get ready to learn how to paint chevron curtains!! Thanks to Angie for putting together so many fun people and ideas. I’m excited to contribute. My name is Chris and I blog at Pickup Some Creativity. 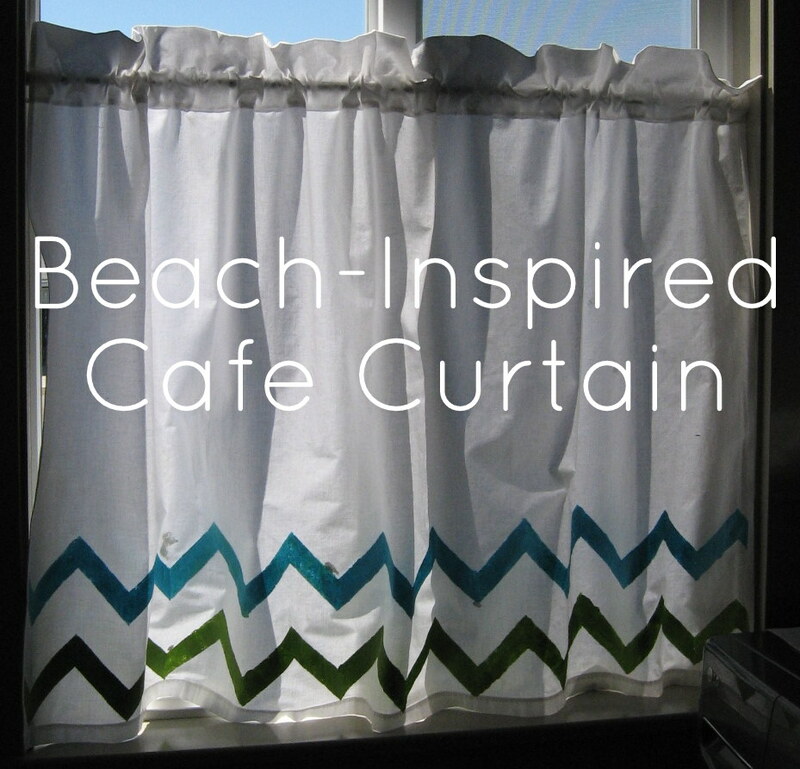 I am going to show you how to make a simple cafe curtain, perfect for a laundry room…when you are wishing you were at the beach! 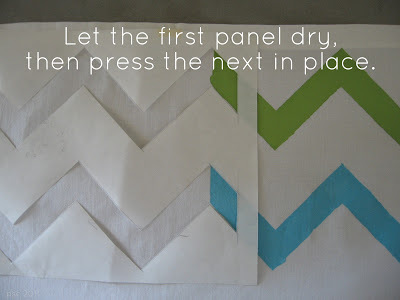 This beach-inspired curtain draws on a few different skills, including freezer paper stencils and VERY simple sewing. Let’s get started. Your sewing stuff, including scissors, pins, seam ripper, sewing machine, washable marking pen, iron, etc. Step one. Prepare your stencils. 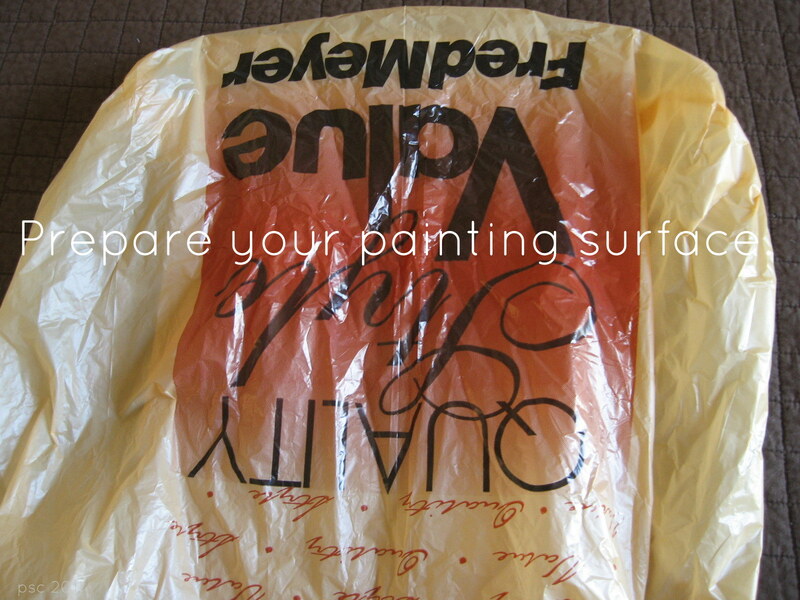 Print off your template, and place under the freezer paper. 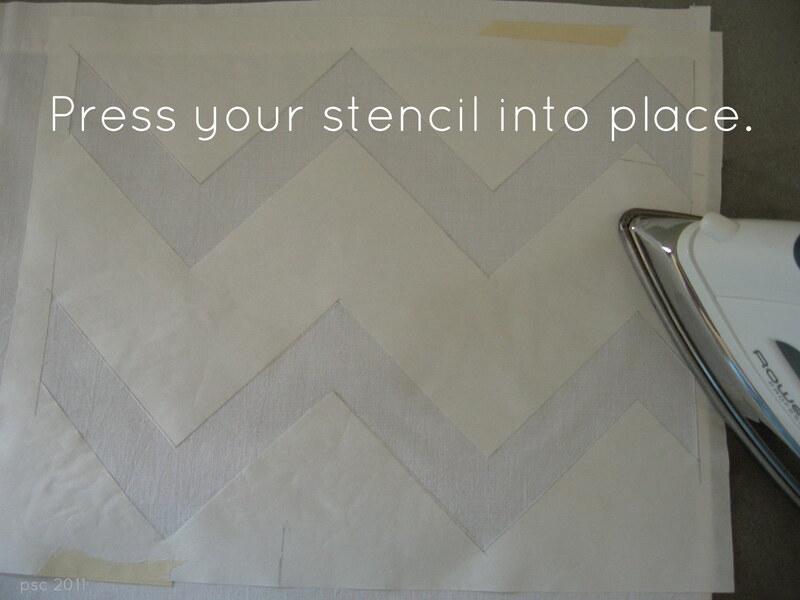 Trace your designs, and cut out with an exacto knife. I made 6 stencils, enough to cover the edge of my curtain. Set aside for now. Step two. Determine the size of curtain that you need. I measured the width of my window, and multiplied that width by 2.5. This is the width you will cut of your fabric. Then, measure the length you’d like to have, and add 4 inches for the rod pocket. 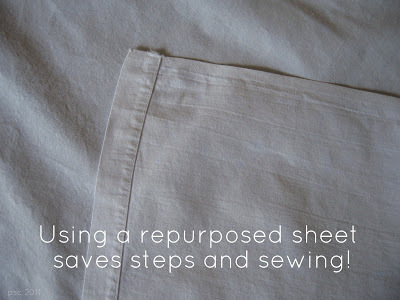 I highly recommend using an old sheet…some of the sewing is already done for you! Step three. 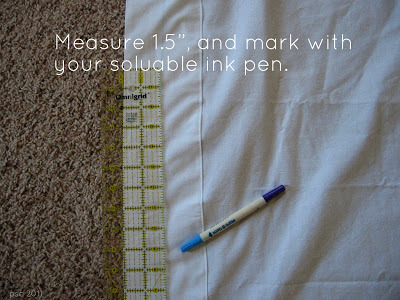 Cut or rip your fabric to the dimensions you’ve measured. If you want easy straight edges, make a small cut at the measured mark, and then rip the fabric in two pieces. You have a bit of fraying, but the rip is true to the weave of the fabric, and you are assured a straight line. Step four. Hem the edges of your curtain. For any edges that are unfinished, sew a narrow rolled hem. 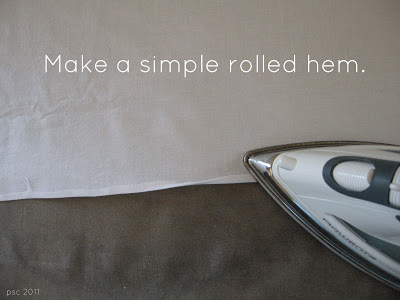 I do this by folding the fabric in 1/4″ and ironing it in place. 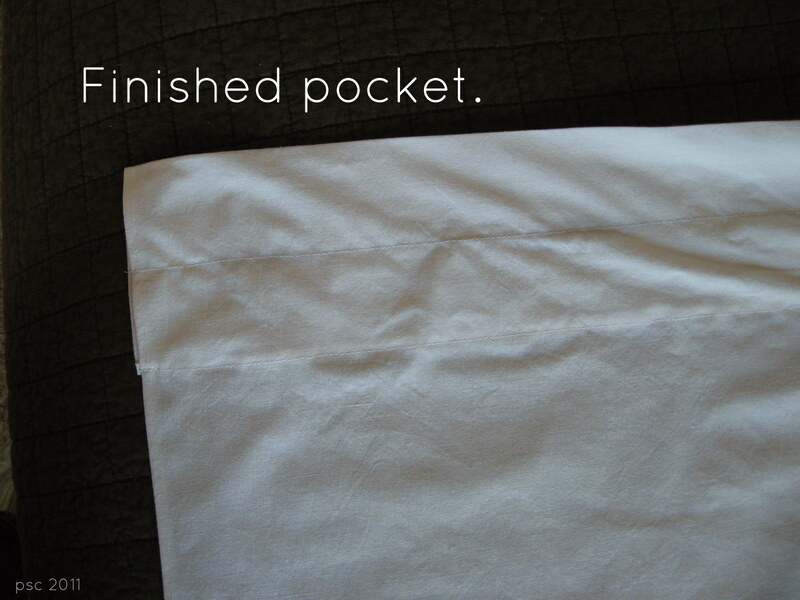 Repeat, so that the unfinished edge is tucked in, and then sew 1/8″ from the edge. Step five. 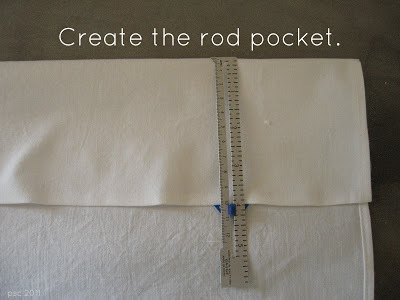 Create the rod pocket. 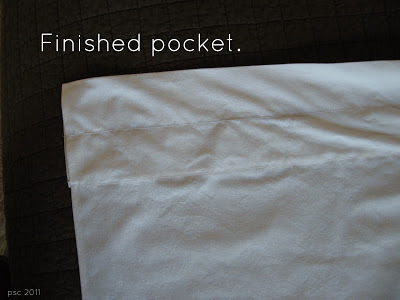 From the top of your curtain, fold down 4″. 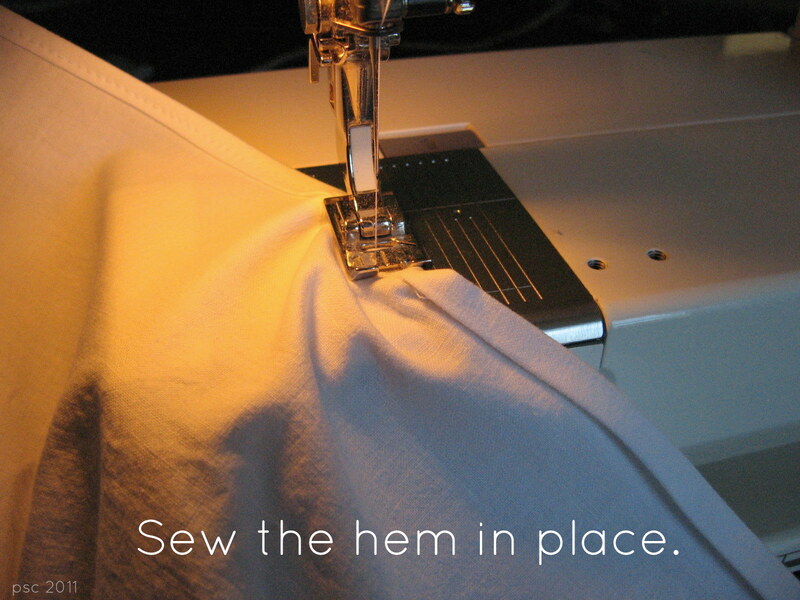 Press into place, and then topstitch this fold down, 1/8″ from the edge. 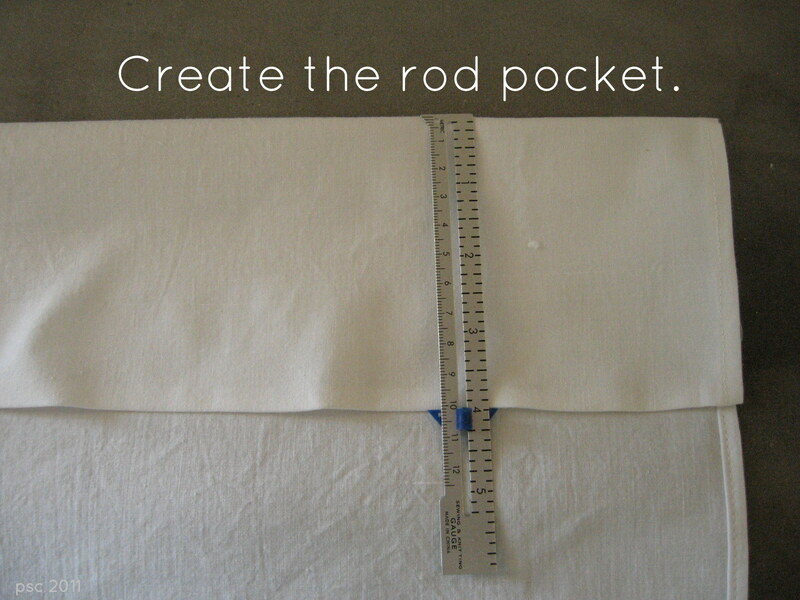 To make the actual pocket for the curtain rod, take your ruler and measure 1.5″ from the top. Now, sew along that line, and you’ll make your rod pocket. 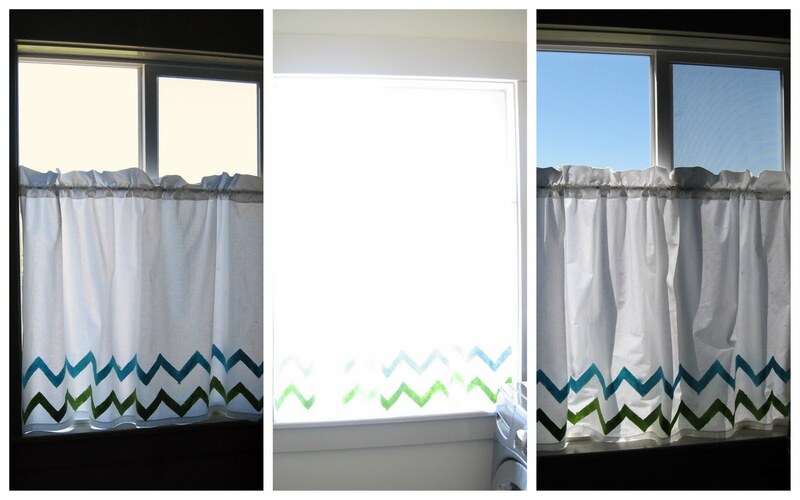 Super simple, and it gives you a fun ruffled effect at the top when you shirr the curtain on the rod. Step six. Apply your stencil. 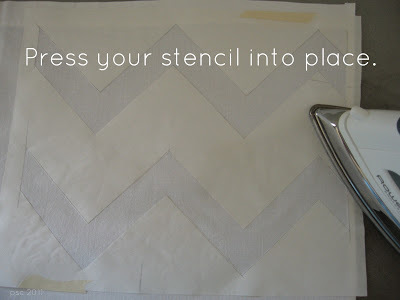 Determine where you want your design, and iron on the first part of your stencil. Be sure all the edges are well adhered. 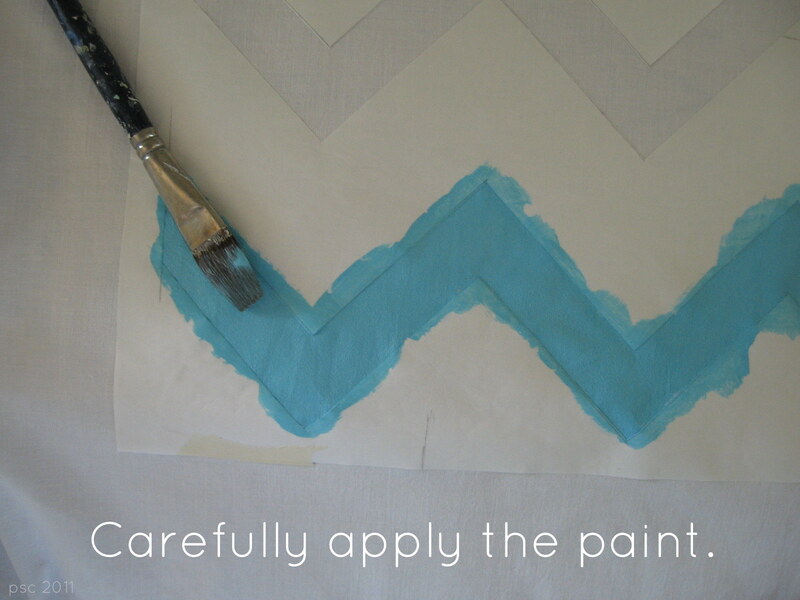 As an optional step, you may want to prepare something to paint on (to protect your work surface), as the color will seep through your fabric. I used a piece of cardboard covered in a grocery sack. 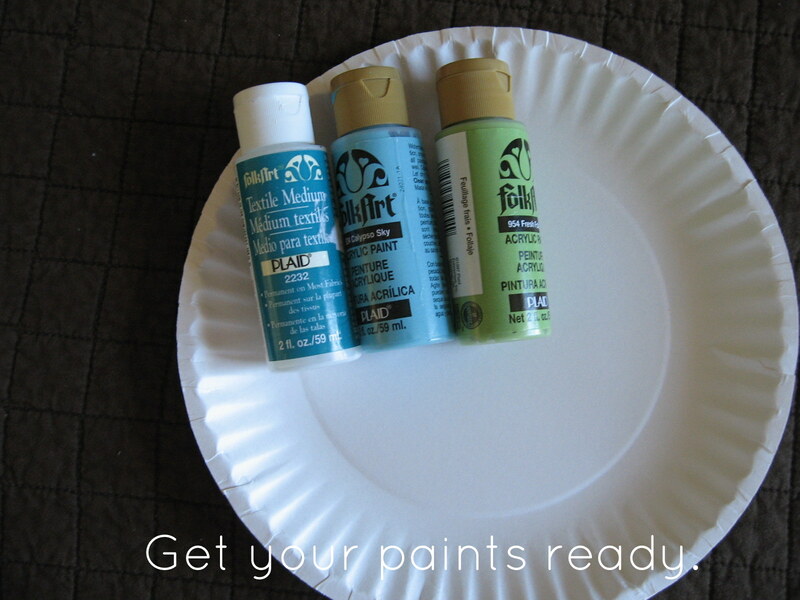 Mix up your paint colors. I add fabric medium to regular craft paints, as a personal preference. You can just use straight craft paint if you wish. I used a fun sky blue and grassy green…perfect colors for the sea. Apply your paint with a brush. Make sure all the crevices are filled. Repeat with your second color. When the paint is starting to dry, remove your stencil. Then, let the paint dry completely. When the paint is DRY, (trust me, you don’t want to hurry this!) 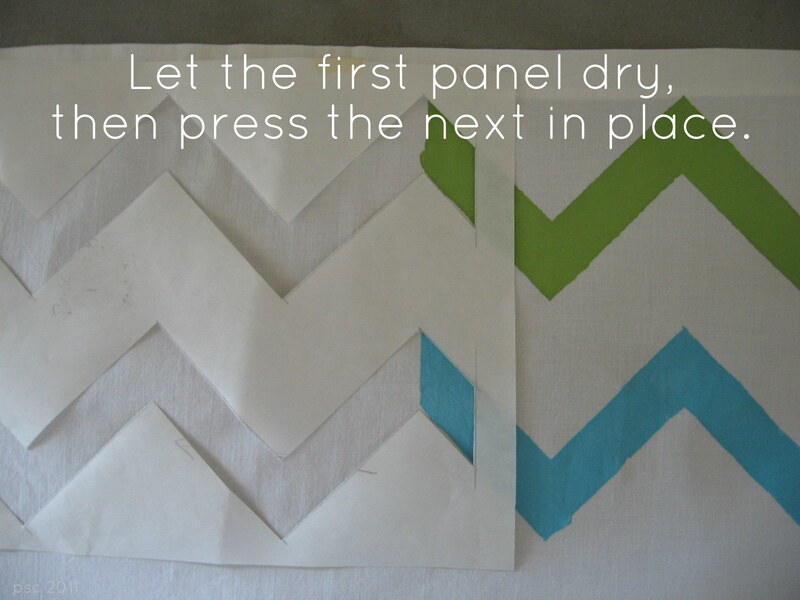 align your next stencil so that the pattern in continued, and press win place. Repeat until you have completed the design. 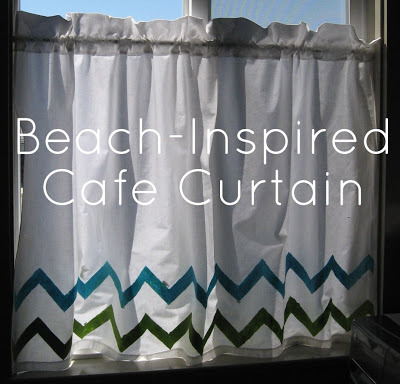 Your lovely beach-inspired cafe curtain is complete! One of my favorite things about mine is how the colors change throughout the day. In the morning, the paint is opaque. As the light changes, the design does too. If you have any questions, pop on over to my blog and I’ll be happy to help. Thanks for inviting me to contribute, Angie! Thanks Chris!! Can’t wait to break out the freezer paper!! 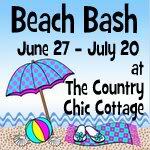 The Beach Bash has been full of great ideas and runs til July 20 — follow along with The Country Chic Cottage and don’t miss a day!! Grab a button if you want and help spread the word!! Posted at Show and Tell on Blue Cricket Design. Posted at Whatever Goes Wednesday on Someday Crafts. Posted at What I Whipped Up Wednesday on Sugar and Dots. Posted at Good Life Wednesdays on A Beach Cottage. Posted at The Creative Collage on The Cottage Chick. Posted at the party on Organize and Decorate Everything. These are fantastic, Chris. Great job! Ooo, I like that shot of the curtains at different times of the day. So neat! Thanks for sharing Chris! Can’t wait to try this clever idea out! The curtains look great. What a lovely idea. Thanks for sharing this great tutorial at Beach Cottage Good Life Wednesdays. What a great tutorial. I love the idea! We just installed our own chevron curtains in our bedroom. Chevron is such a great look!! Thanks for sharing.